NEW YORK, New York - U.S. stocks took a breather on Friday after five straight days of gains, but losses were minimal. A fall in energy prices and uncertainty about earnings results, expected to accelarate next week, kept buyers cautious. Weve clawed our way back and now the market is just waiting ahead of the start of earnings season next week, Donald Selkin, Chief Market Strategist at Newbridge Securities in New York told Reuters Friday. Were just drifting. At the close of trading Friday the Dow Jones industrials were down 5.97 points or 0.02% at 23,995.95. The Standard and Poor's 500 dipped 0.38 of a point or 0.01% to finish virtually unchanged at 2,596.26. The tech-laden Nasdaq Composite slipped 14.59 points or 0.21% to 6,971.48. The U.S. dollar remained under pressure against most currencies on Friday, but clawed back some ground against the euro. Around the New York close Friday the EU unit was changing hands at 1.1462. The British pound rose strongly to 1.2805. The Japanese yen was slightly weaker at 108.54. The Swiss franc was largely unchanged at 0.9828, while the Canadian dollar edged down to 1.3271. The Australian dollar eased a few basis points to 0.7203, while the New Zealand dollar gained a few to 0.6829. In overseas markets, bourses in Europe incurred minor losses. London's FTSE 100 slipped 24.69 points or 0.36% to 6,918.18. The German Dax edged down 34.13 points or 0.31% to 10,887.46. The Paris-based CAC 40 slid 24.31 points or 0.51% to 4,781.34. Stocks in Asia were mostly higher on Friday, although the Australian market went against the trend. 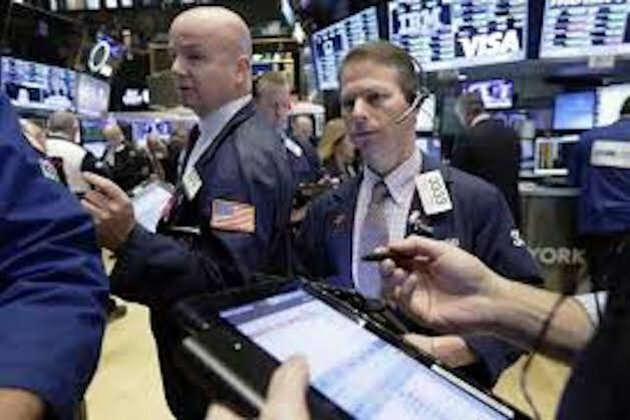 Latching on to the positive tone on Wall Street, traders and investors in Asia were generally positive on Friday. At the close of trading, the Nikkei 225 was up 195.90 or 0.97% at 20,359.70. In China, the Shanghai Composite was ahead 18.73 points or 0.74% at 2,553.83. In Hong Kong, the Hang Seng finished up 145.84 points or 0.55% at 26,6667.27. The Australian All Ordinaries however lost 19.10 points or 0.33% to close Friday at 5,834.80.